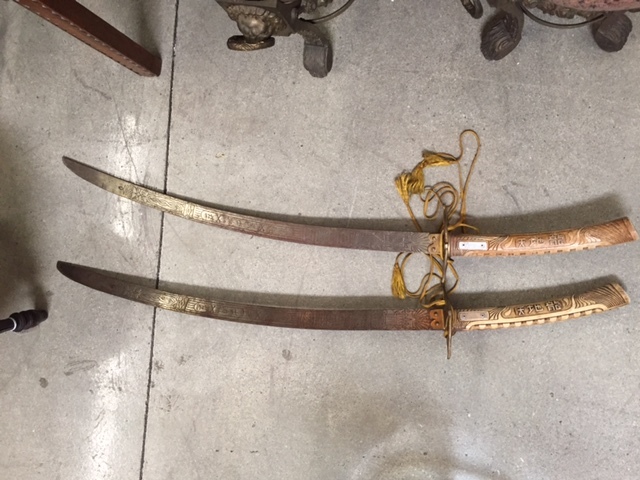 Forum Index > Historical Arms Talk > What are these swords?? 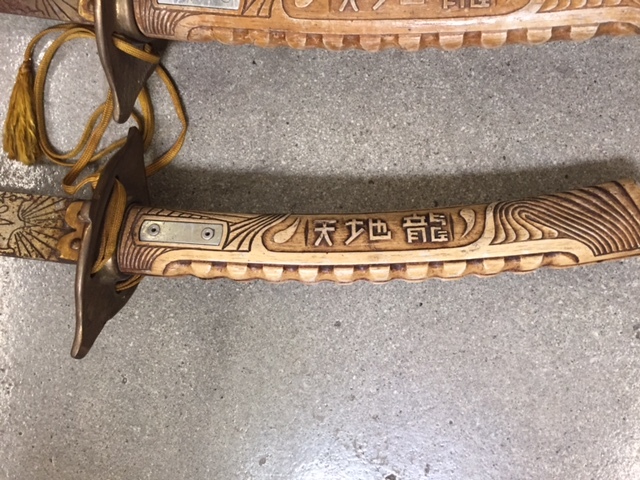 Posted: Tue 26 Apr, 2016 6:47 pm Post subject: What are these swords?? I'm sure these are not original. 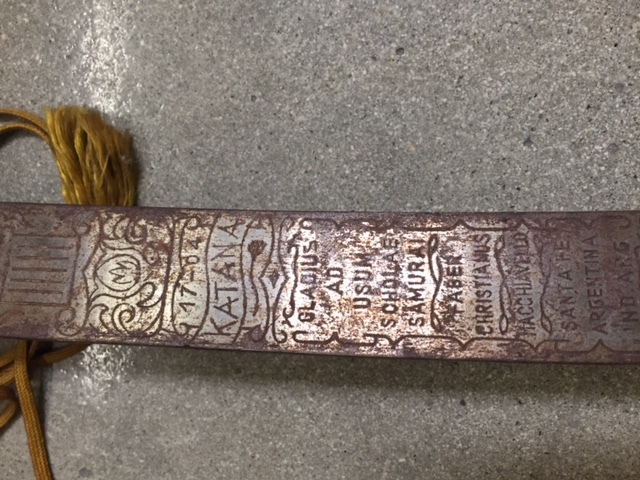 The Latin etching says "Katana. Sword used by samurai forces. Made by Christian Macchiavello, Santa Fe, Argentina." You can find similar swords by the same maker on Mercado Libre. Rush in and die, dogs -- I was a man before I was a king. Posted: Wed 27 Apr, 2016 8:14 am Post subject: Thank you!! Rivers a handle to a blade. Posted: Wed 27 Apr, 2016 9:08 am Post subject: Re: Thank you!! Not that uncommon actually, though it's mostly only seen in Indian work. 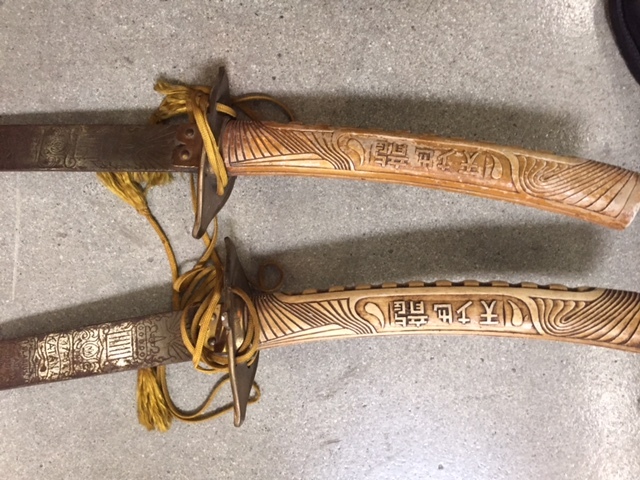 Those guys loved to take European sword blades and modify them for their own use. You can also see it in the very earliest Bronze Age blades. While these are tourist claptrap, they do represent a certain historic cachet, and if cleaned up could still make an unique display. There's a certain artistic feel to the grips that I rather like.